This my friends is a decadent detoxifying bar of soap. 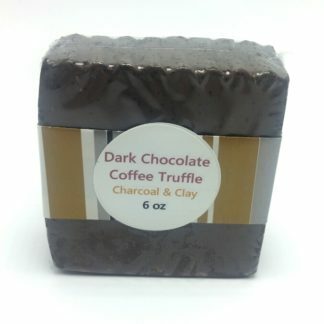 Rich cocoa butter, lots of scrub from the coffee, and both charcoal and clay to draw out impurities through your skin. And the smell!! Just like the name says. So why is this so good for you? 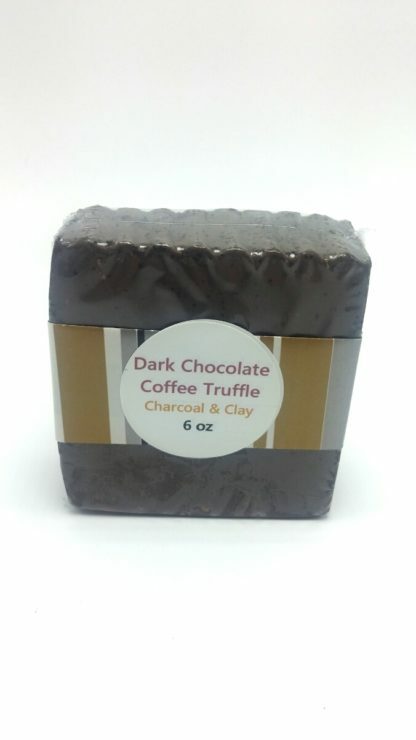 – Unrefined Raw Organic Cocoa Butter and Cocoa Powder: contains more than 300 different chemical compounds and nearly four times the antioxidant power of your average dark chocolate bar – more than 20 times than that of blueberries. Protein, calcium, carotene, thiamin, riboflavin, magnesium, sulfur, flavonoids, antioxidants, and essential fatty acids are also present. The precise blend of all these elements combined serve to kick in naturally occurring phytochemicals that have incredible benefits throughout the body, such as lowered LDL cholesterol, improved heart function, and reduced cancer risk. It affects your emotions and mood by raising serotonin levels, and a neurotransmitter called theobromine, a mild stimulant sometimes used as a treatment for depression. 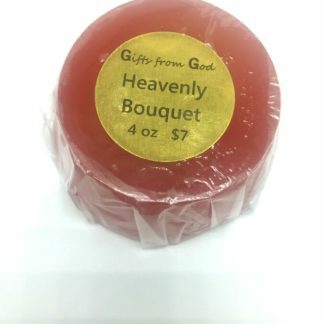 It releases the compound anandamide, which produces uniquely euphoric feelings of relaxation and contentment. These benefits are received by consumption, topically, and inhalation. It’s high antioxidant, rich moisturizing, and skin healing benefits make this a must for anti-aging effects. 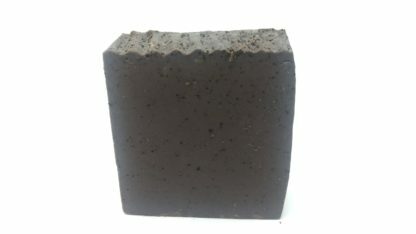 – Organic Activated Coconut Charcoal is wonderful at treating acne, absorbs excess oil, firms skin, shrinks pores, and most importantly draws out toxins! 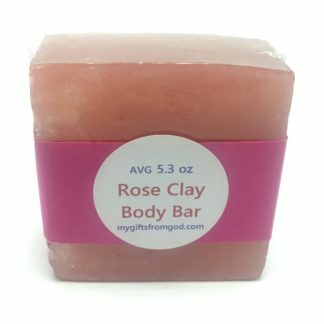 – Kaolin Clay is mild enough to be perfect for all skin types. 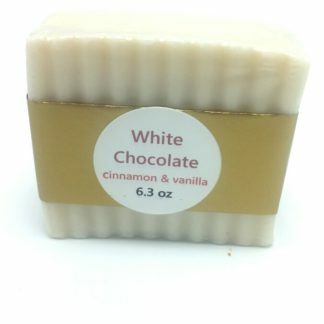 It purifies and softens the skin while drawing out impurities that cause acne as well as other toxins. It also polishes your skin, leaving it radiate. And I love how it makes such a creamy lather in soap. – Organic Vitamin E Oil protects skin from the damaging effects of free radicals. 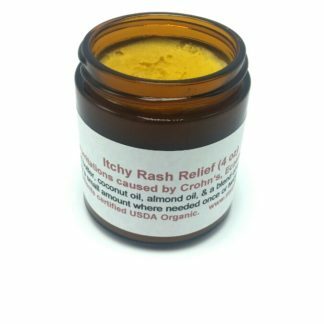 Alleviates dry skin and helps heal scars, and penetrates deeply to protect from the aging effects of wrinkles. 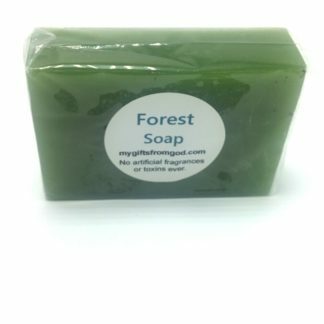 Unlike most of my products, there are no essential oils in this one. So it is safe to use for all ages, and during pregnancy. Ingredients: Organic cocoa butter soap base, organic cocoa butter, organic cocoa powder, organic finely ground coffee, organic activated coconut charcoal, kaolin clay, and organic vitamin E oil. Net weight varies from 5.7 – 6.3 ounce. Enjoyed by men and women alike. Bought this for the hubs. He loves it!! Wow! This is the coolest bar of soap ever ever. It’s huge. It smells awesome. And my skin loves the cocoa butter. Probably the charcoal and clay too. I need to try a couple more soon.